Cook up a storm with a little help from this powerful mixer with six-speed settings and a sturdy, durable construction. 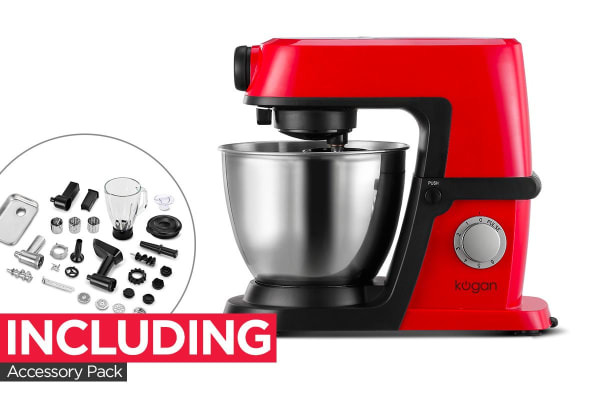 With variable speed settings and a large 5-litre mixing bowl, the Kogan 1200W Deluxe Stand Mixer with Accessory Pack will coax you to turn MasterChef! Whisk, beat, knead, blend and do much more to churn up goodies for your whole family and some for the neighbours too! The transparent detachable bowl cover included allows you to monitor the mixing process while at the same time avoiding messy spills or splatters. The powerful 1200W motor with 6 different speed settings enables you to mix for a wide variety of dishes. 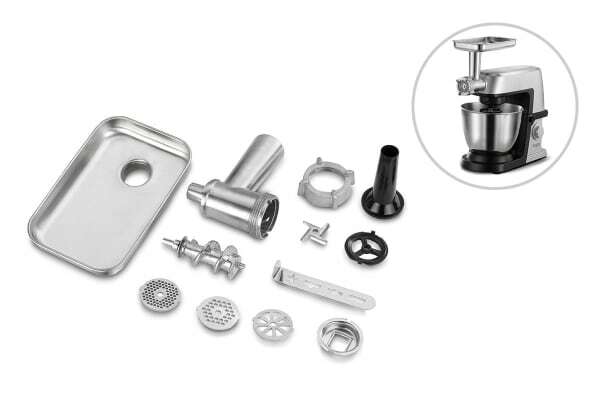 The attachments include a steel whisk, aluminium alloy beater and a removable dough-kneading hook, so you can whip up fluffy meringues or knead a tougher bread dough just by selecting the right attachment and the perfect speed setting. 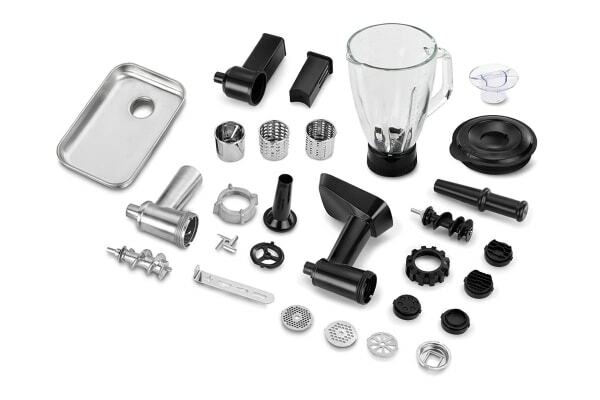 Featuring high-quality parts that can be attached or removed without a fuss, the Kogan 1200W Deluxe Stand Mixer Accessory Pack makes it easy to put a gourmet meal on the table thanks to accessories like the blender, salad slicer, meat grinder and pasta maker. When it comes to style and performance, there’s nothing to beat this one!